2015 SEC preview: Can Auburn's D get it past Alabama to a conference title? Projected standings, players to watch, top storylines to follow and more in SI.com's 2015 SEC preview. After a second straight year without a national title, the SEC enters the 2015 season with plenty of questions: questions about whether the conference is as tough as it once was, questions about who's worthy of a College Football Playoff spot in what appears to be a deep, balanced league. Both divisions look up for grabs, several teams seem capable of a run to the playoff but no one team has a clear-cut path and some coach making $4 million or more will finish last in the SEC West. Will 2015 be the year the SEC erases any emerging doubts about its supremacy? One thing is certain—it'll be fun to find out. 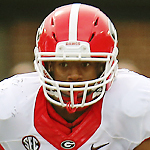 Georgia fans caught a good glimpse of Chubb’s potential in 2014, when he solidified his spot as the program’s future while backing up Todd Gurley and replacing Gurley when he was suspended and injured. 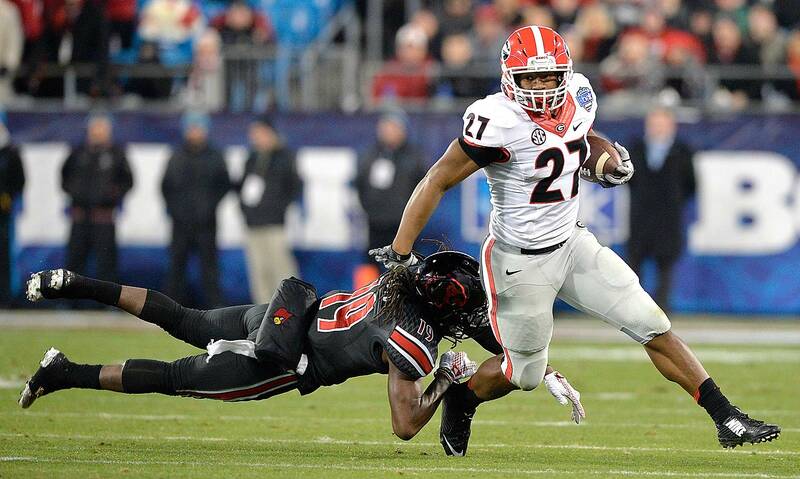 Now Chubb is the man in Athens, and he’ll headline a team expected to contend for a spot in the SEC title game. The Bulldogs won’t drastically alter their pro-style offense under new coordinator Brian Schottenheimer. That’s good news for the 5’10”, 228-pound Chubb, who has an offensive line that returns four starters. Coach Mark Richt probably has the best player in the SEC in his backfield while the Dawgs break in a new quarterback. That means a brighter spotlight ahead for Chubb. The Crimson Tide might boast the best front seven in college football, with the 6’4”, 312-pound Robinson as the linchpin of a deep group of juniors and seniors. Robinson earned Freshman All-America honors in 2013 after leading the team with 5.5 sacks. Last season he followed up by starting 13 games and anchoring an Alabama line that finished first in the SEC in rushing defense (3.2 yards per carry allowed) and rushing touchdowns allowed (five). Robinson can play both inside and outside on the defensive line and should again be a force as the Tide look to repeat in the SEC. Thompson, a five-star signee and the No. 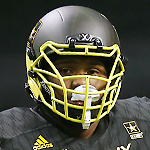 2 defensive tackle in the class of 2015, should add immediate talent to a Georgia defense that hopes to improve. That unit struggled against the run in each of the Dawgs’ losses last year, allowing a combined 5.77 yards per carry in defeats to South Carolina, Florida and Georgia Tech. Now Thompson, who stands 6’5” and weighs 307 pounds, will use his rare combination of size and quickness to bolster a line alongside veterans like senior end Sterling Bailey. “Trent is a big, massive man who has got great agility,” Richt said on National Signing Day. The freshman is also a local product, as the the Albany, Ga., native opted to stick with his in-state Dawgs despite recruiting visits to Auburn, Alabama, Florida State, and Clemson. It’s unlikely any SEC coach gets canned after this season, but if anyone must show major progress, it’s Mason. 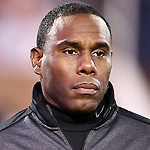 The second-year Vanderbilt coach comes off a messy debut in Nashville. The Commodores dropped a 37–7 home opener to Temple and had to squeak by UMass, 41–38, two weeks later. At season’s end Vandy sported an 0–8 SEC record and an offense and defense that finished last in the conference. Mason responded by firing both coordinators, and now he has taken over defensive play-calling while handing his offense over to new coordinator Andy Ludwig. The good news is the Commodores return nine starters on both sides of the ball. But if that roster falls flat for a second year in a row, don’t be shocked if athletic director David Williams stops the bleeding. Alabama's line of elite running backs continues with Henry, who is a nightmare for SEC defenses. His 6'3", 241-pound frame makes him nearly impossible to bring down. 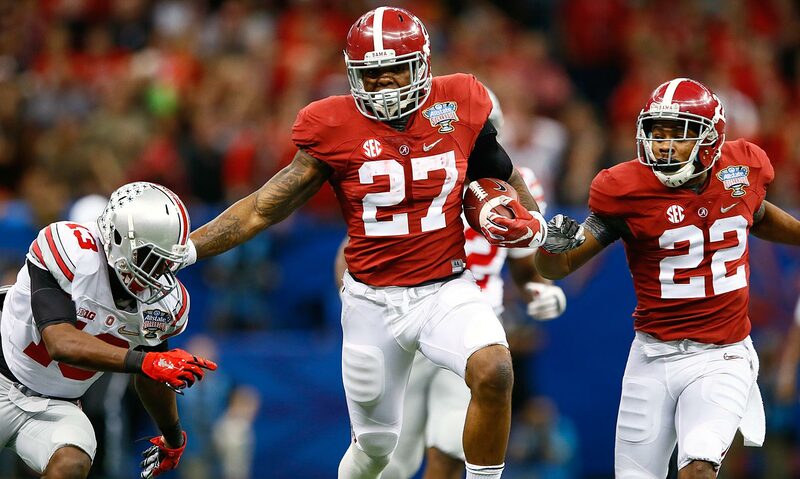 Henry ran for nearly 6 yards per carry and caught five passes that went for 133 yards and two touchdowns in 2014 while sharing time T.J. Yeldon. Prescott exploded onto the SEC scene in his junior season as he turned Mississippi State into the top-ranked team by the middle of the season. He threw for over 3,400 yards and nearly ran for 1,000 more. 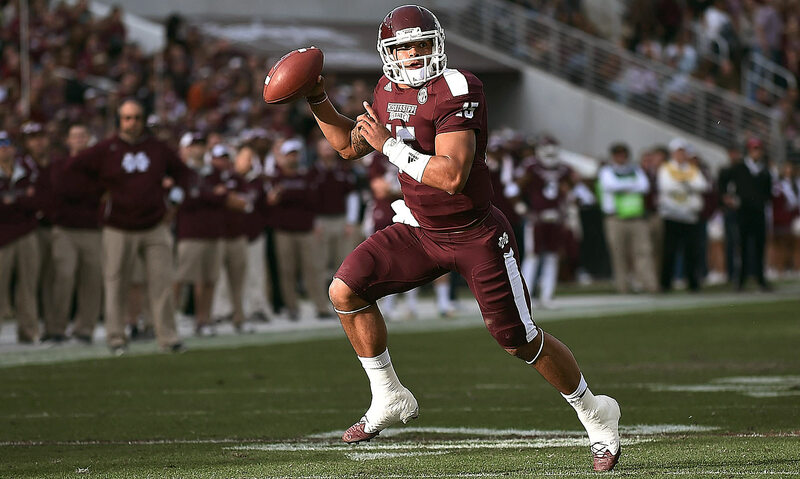 Prescott's presence under center gives the Bulldogs hope in the SEC West. In his first year on the field, Barnett looked like a man amongst boys. As a true freshman, he recorded over 20 tackles for loss and 10 sacks. 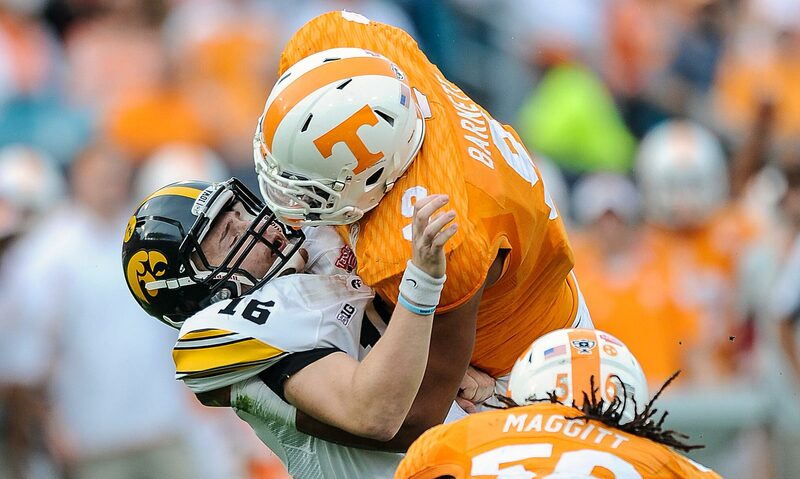 The sky is the limit for Barnett, who will terrorize SEC quarterbacks for at least two more years. Chubb emerged as a consistent force behind Todd Gurley, powering through defenders with his thick frame. As his workload increased with Gurley's suspension and injury, Chubb averaged over seven yards per carry on his way to 1,547 yards. 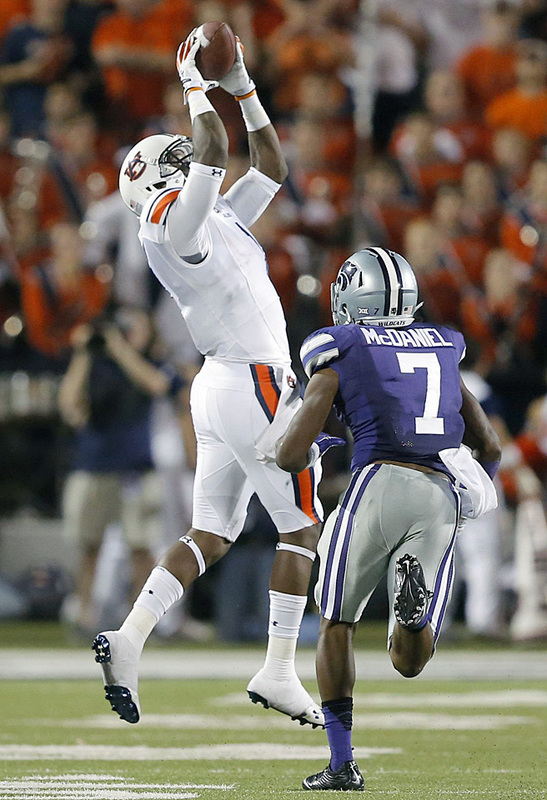 Williams ditched the NFL draft and former teammate Sammie Coates, opting for a second season at Auburn. The explosive juco transfer had over 700 yards on just 45 catches last season, and he will be extra motivated for his senior year after a suspension kept him out of the Tigers' Outback Bowl loss to Wisconsin. Nkemdiche was the No. 1 overall recruit of the 2013 class, and in 2014 he helped transform the Rebels into an SEC title contender. 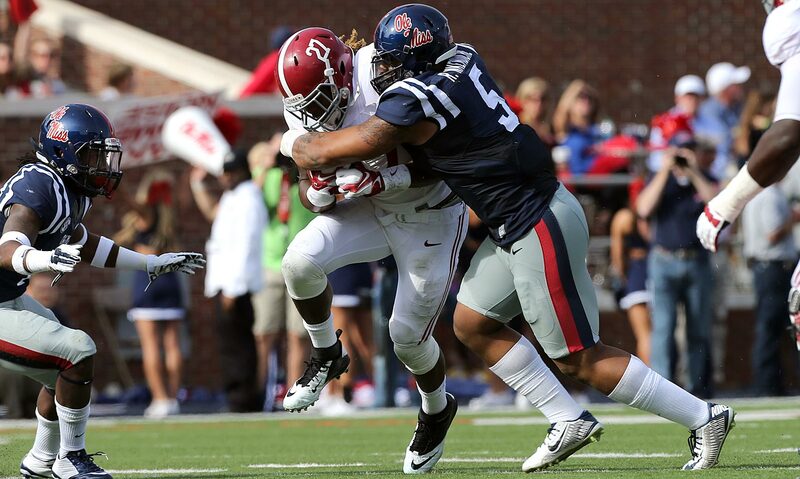 As the glue holding together the Ole Miss defensive line, Nkemdiche is the foundational piece of the Landsharks defense. 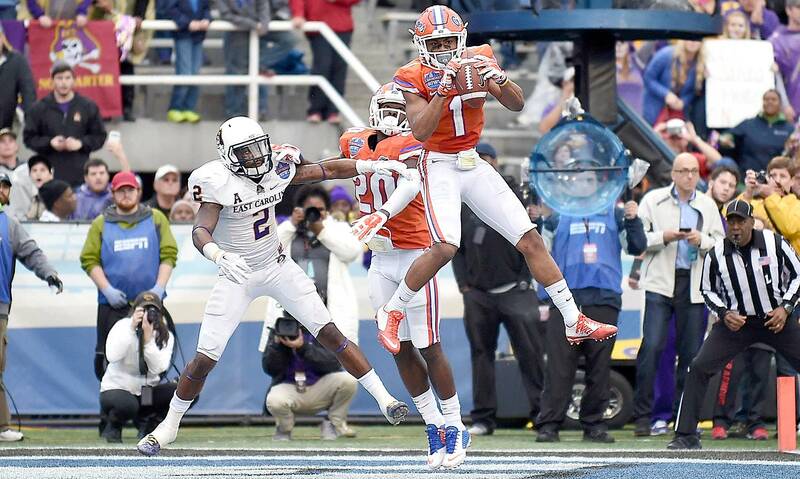 Although Hargreaves' time at Florida has seen the program accomplish little, he has completely lived up to the billing. He recorded three interceptions each in 2013 and '14, so don't be surprised if Hargreaves turns his own little corner of Gainesville into an island this upcoming season. 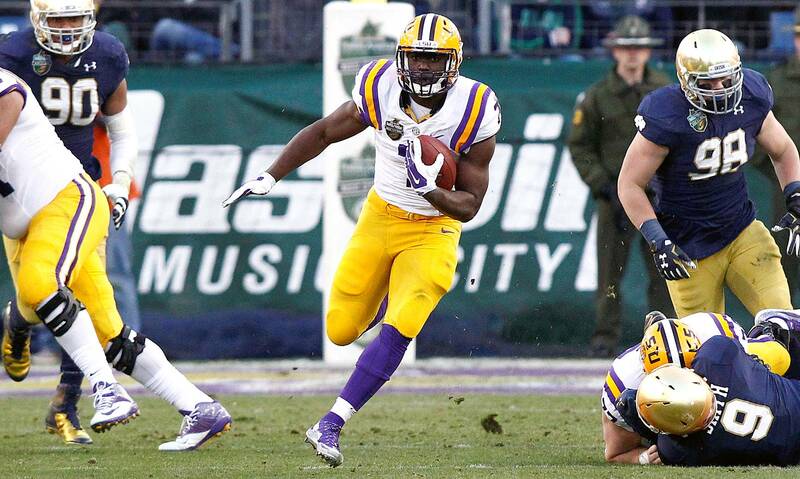 Fournette battled the pressure of immense hype on his way to a highly productive season in his true freshman campaign. The New Orleans native ran for 1,034 yards and 10 touchdowns for the Tigers and has barely scratched the surface of his potential. Garrett is one of the most feared defensive lineman in college football, and only turned 19 after the season. He broke Jadaveon Clowney's SEC freshman sack record in 2014, finishing the year with 11.5 sacks as well as a blocked kick. 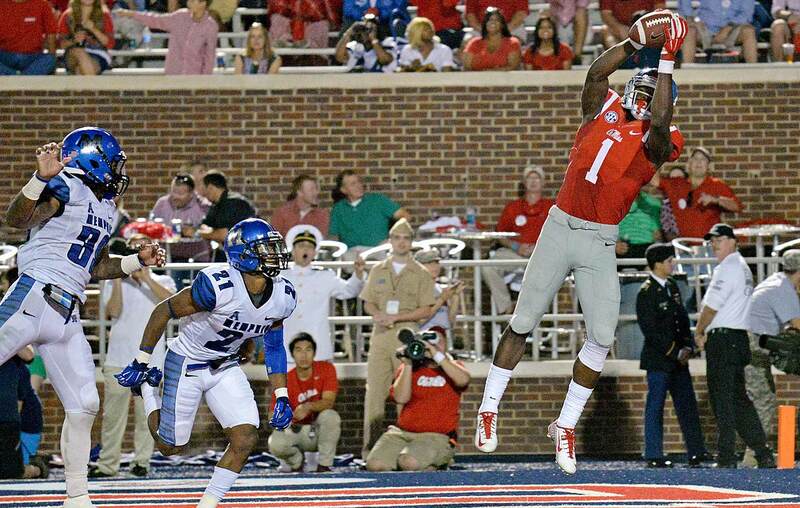 Treadwell's 2014 season ended tragically when he broke his leg against Auburn, but he proved himself to be one of the conference's top receivers during Ole Miss's 7-1 start. The rising junior racked up 632 yards on 48 catches and scored five touchdowns. He's expected to be ready for the start of the season. The Badgers and Crimson Tide share one thing in common: They both suffered postseason losses to Ohio State. Now those two programs get a chance to prove they’ve gotten over that disappointment. Alabama will break in a new starting quarterback this year, as well as eight other new starters on offense. Meanwhile, new Wisconsin coach Paul Chryst should have another stout running back (Corey Clement) to use against the Tide’s defensive front. This game could set the tone for both teams’ seasons. An opener against Bowling Green in Nashville won’t serve as an adequate barometer for the Volunteers’ potential in 2015. That should come the next week against Oklahoma in Neyland Stadium. The Sooners are fresh off a lackluster eight-win season and generally regarded as a step behind Baylor and TCU in the Big 12. 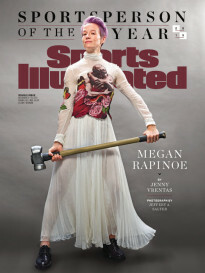 But this is still Oklahoma, a perennial power that’ll threaten a much-hyped Tennessee team with 17 returning starters. With both teams eyeing a rise to the top of their respective conferences, this game will serve as a launching pad for someone. Last year’s installment of this in-state rivalry was a doozy, with Georgia Tech escaping Athens with a wild 30­–24 overtime win. The stakes could be higher in 2015, when the Bulldogs and Yellow Jackets should both contend for berths in a New Year’s Six bowl. Justin Thomas and Georgia Tech’s option offense will test the Dawgs’ run defense in front of a Yellow Jackets crowd. These two teams could use this nonconference win as a convincing argument for the College Football Playoff selection committee. Last year’s matchup almost gave Bret Bielema his first SEC win as Arkansas’s head coach, but the Crimson Tide escaped with a 14–13 win in Fayetteville. This season the Razorbacks could be even more dangerous as a sleeper in the SEC West. This trip to Tuscaloosa is the first of a rough two-week stretch for Bielema’s squad; it faces off against Auburn at home the very next Saturday. Arkansas could make a statement with a strong performance in Bryant-Denny Stadium, but Alabama could also stiff-arm the Hogs and cement their divisional dominance. Folks in Athens still scratch their heads when they remember last year’s date with rival Florida. A Gators offense that couldn’t move the ball all season long overwhelmed the Bulldogs for 418 rushing yards in a shocking 38–20 upset. Had Georgia won that game, they’d have represented the East in the SEC championship. This season Florida has a new head coach in Jim McElwain, who has the offensive pedigree to right the ship in Gainesville. Expect the Bulldogs to have a bigger chip on their shoulder than usual, determined to not let their rivals spoil another division title. The importance of this game can’t be overstated. The winner of the Iron Bowl has won the SEC in each of the last three years. We’ve seen this game shake up the national title picture on a second’s notice (Kick Six, anyone?). This year, Alabama’s quarterback situation will have been settled by this point in the season. We’ll also know what to make of defensive coordinator Will Muschamp’s defense at Auburn. All eyes will be on the Plains for this regular season finale that will almost surely have playoff implications. 1. Does Muschamp make Auburn an immediate playoff contender? 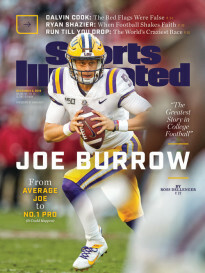 The Tigers are a trendy pick to win the SEC this year, and it’s not just because of what they bring back on the field. Coach Gus Malzahn’s hiring of Muschamp was just what the Tigers needed this off-season. The program finished ninth or worse in the SEC in every major defensive category in 2014. Now Muschamp, who coached top-10 defenses at Florida, takes over a unit headlined by talented defensive end Carl Lawson and linebacker Cassanova McKinzy. Auburn fans aren’t worried about their offense, where new quarterback Jeremy Johnson should lead a skilled group. But as last season illustrated, the defense has to keep up if the Tigers hope to bounce back. That’s why Muschamp could be Auburn’s most valuable team member. 2. Will Alabama’s quarterback play define its season? Many worried about Alabama’s offense last season, when Nick Saban entered fall camp without a starting quarterback. Blake Sims eventually emerged and used an up-tempo style that averaged 36.9 points per game and helped the Crimson Tide reach the Sugar Bowl. This fall Alabama again enters fall camp without a starter but with no guarantees a steady option like Sims is waiting to step up. Instead, senior Florida State transfer Jake Coker and freshman David Cornwell appear tied at the top of the depth chart. Saban has proven he doesn’t need a prolific passer to win championships, but he does need stability. Do the Crimson Tide have a quarterback who can avoid pitfalls in the SEC West? 3. How much does Steve Spurrier have left in the tank? The Gamecocks needed a tight win over Miami in the Independence Bowl to avoid Spurrier’s first losing season. That forced the Head Ball Coach to answer plenty of questions about retirement this off-season. After last year’s swoon, South Carolina must improve, particularly on defense, which was one of the SEC’s worst in 2014. Spurrier also must find a quarterback in the battle between untested names like Connor Mitch and Perry Orth. If the Gamecocks struggle for a second straight season, can the 70-year-old Spurrier stomach another rebuilding job? One thing’s for sure: He’s been adamant—even angry—about defending his future in Columbia. 4. Can the Mississippi programs build off of a stellar 2014? Last year was a historic one for the SEC teams in the Magnolia State. Just over midway through the season, Mississippi State and Ole Miss both held 7–0 records for the first time ever. Both schools also appeared in the top four of the playoff selection committee’s first rankings. But the Bulldogs and Rebels eventually combined to lose seven games, including a pair of defeats in New Year’s Six bowls. This year, the two schools want to prove they belong among the SEC elites. Mississippi State returns Heisman-candidate quarterback Dak Prescott but only six other total starters. 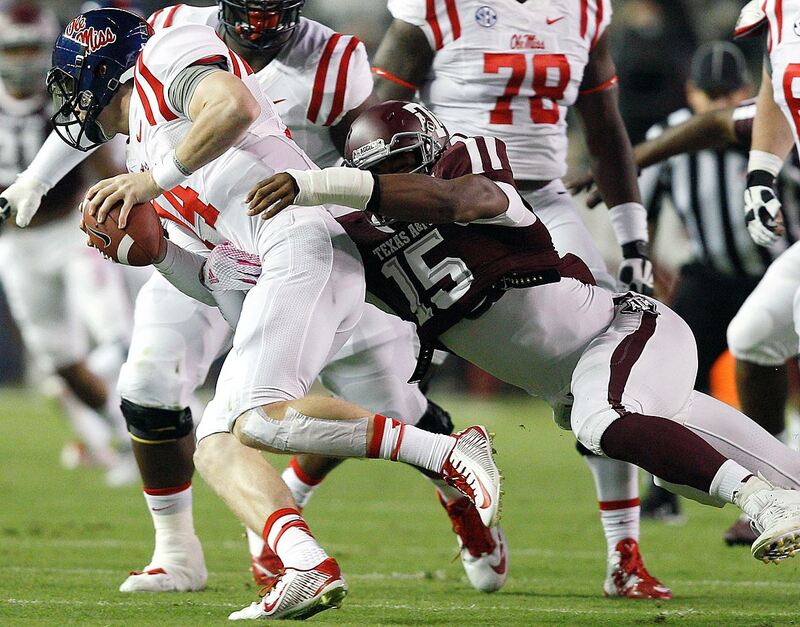 Ole Miss brings back talent like receiver Laquon Treadwell and defensive tackle Robert Nkemdiche. The SEC West is only getting deeper, so can either Mississippi program prove last season wasn’t an anomaly? 5. Can Arkansas and Tennessee live up to the hype? The Razorbacks and Volunteers combined for a 5–11 SEC record last year, yet both enter 2015 with big expectations. Arkansas returns a lot of bodies on both ends but already suffered a blow with running back Jonathan Williams’ foot injury that will keep him out for the regular season. For Tennessee, quarterback Josh Dobbs and defensive end Derek Barnett give coach Butch Jones a strong nucleus. But the Vols’ depth issues could show themselves as the season wears on while the Hogs’ schedule is a murderer’s row. 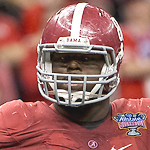 Are Arkansas and Tennessee ready to contend with the big boys?